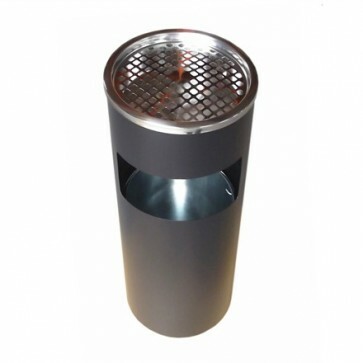 Clean up smoking litter with this stylish combination polished stainless steel mesh top litter and cigarette bin. Manufactured from rust resistant stainless steel with a black powder-coated galvanised steel body, it includes a large litter opening (bin liner included) and topped with bright polished mesh covered ashtray bowl to conceal deposited ash. Free standing for increased flexibility, a perfect mobile solution.